The Military Institute of Internal Troops of the Ministry of Internal Affairs of the Republic of Kazakhstan is a governmental institution implementing educational programmes of the higher vocational training, additional education and has the status of a higher educational institution within the framework of the educational system of the Republic of Kazakhstan. The Military Institute serves for training future officers of the Internal Troops of the Ministry of Internal Affairs of the Republic of Kazakhstan, as well as other troops and military formations of the Republic of Kazakhstan. The Military Institute carries out educational activities on the basis of the state licence which gives the right to conduct educational activity in accordance with the legal acts of the Republic of Kazakhstan and state compulsory standards of education.. The Higher Military College of the Internal troops of the MIA of the Republic of Kazakhstan was formed by Governmental Decree of the Republic of Kazakhstan No. 349 on March 18th, 1997. That day is regarded as the Birthday of the Institute. 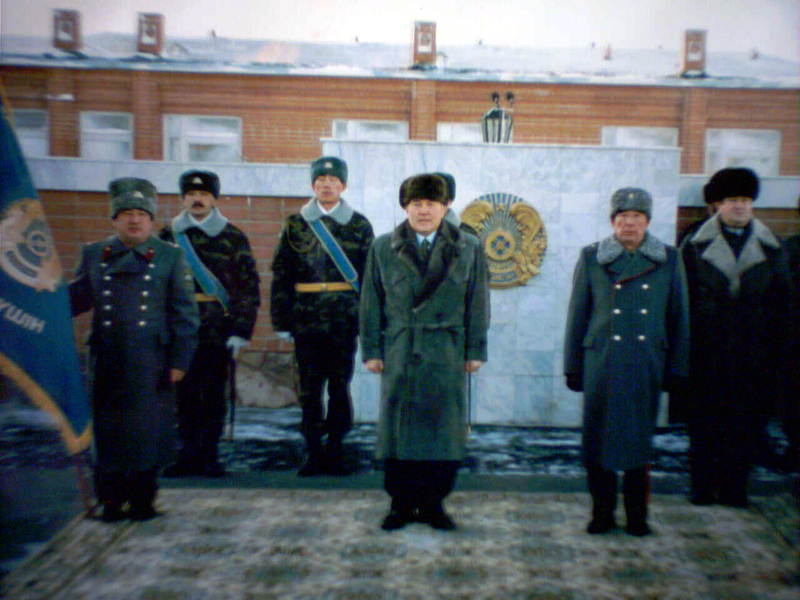 On December 20th, 1997 the President of the Republic of Kazakhstan, Supreme Commander-in-chief of the Country’s Armed Forces N.A. Nazarbayev presented the Higher Military College with the Battle Banner. On the eve of its birthday, March 17th, 2009, the Higher Military College of the Internal Troops of the MIA of the Republic of Kazakhstan was renamed and the Military Institute of the Internal Troops of the MIA of the Republic of Kazakhstan by Governmental Decree of the Republic of Kazakhstan No. 348. Creation of the institution of higher military education for the Internal Troops of the MIA of the Republic of Kazakhstan is a convincing testimony of implementing the Strategy of Kazakhstan’s development till 2030, namely, its first priority – national safety, constant attention of the Head of state to development of the Internal Troops. Small within the limits of historical time, the history of the Military Institute can be conventionally divided into three periods. The first period is bound to the organisation and creation of training facilities, as well as the provision of conditions required to start teaching and educational process, elaboration of interim documents on the training and education organisation, and the first set of cadets. The following people have headed the Institute: Major General Dyukenev, Amangeldy Rezuanovich; Colonel Akhmetov, Sabit Kamitovich; Colonel Karaguyshiyev, Murat Kenzhegaliyevich; Major General Fatkullin, Rashid Habibullayevich. At present the Institute is headed by the Doctor of Military Sciences, Professor, Colonel Akhmetov, Zhumabek Khatiollayevich. The second period of the history of the Institute covers the period from 2001 till 2006. 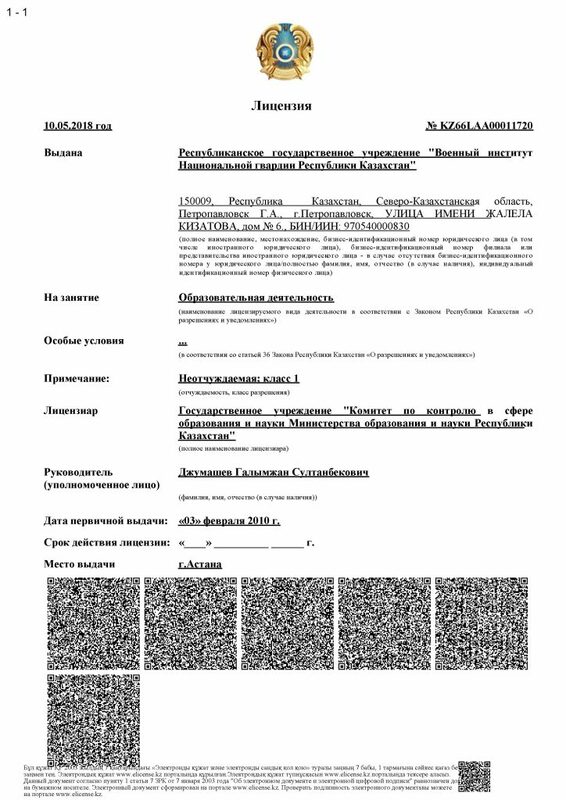 This stage is characterised by adjust the educational activities in accordance with the legal acts which regulate the sphere of education and science in the Republic of Kazakhstan. Programmes of military educational institution development for 2000-2007 and system support of the faculty for 2005-2008 were enacted under the direction of the Commander of the Internal Troops in that stage. The Institute was developed in accordance with the Governmental programme of reforming of the Internal Troops of the MIA of the Republic of Kazakhstan for the period of 2002-2005. In 2007 the military educational institution entered the third period of its history bound to the implementation of strategic objectives of the new Kazakhstan in the new world, entering the list of 50 most competitive countries of the world, the Governmental programme of education of development in the Republic of Kazakhstan for 2005-2010, and the Governmental programme of enhancing the Armed Forces, other troops and military formations for 2006-2010. A complex of measures aimed at enhancing the Institute had been implemented by 2010. In 2004 the Institute started preparation of Bachelor Degree candidates. Since that time standards for the group of specialities ‘Military Science and Security’ have been elaborated and enacted. Nowadays training of cadets is carried out by seven military departments. The educational programme includes training cadets to driver vehicles of the categories В and С and to operate computers. Serik Sultangazinovich Bilalov, Akim (Governor) of the North Kazakhstan Oblast, pays great attention to patriotic education and motivation of cadets to. He has instituted scholarships named after Shokan Ualikhanov. Colonel Akhmetov Zh.Kh. and Colonel Musyrman A.Sh. have been awarded with the badge ‘Honourable Educator of the Republic of Kazakhstan’ for their services in the sphere of military education development. Lieutenant Colonels Nilov V.P, Kaliyev A.K., and Serbin A.G. have been awarded with the badge ‘Y. Altynsarin’. Colonel Akhmetov Zh.Kh. and Lieutenant Colonel Nilov V.P. have got an academic title of Professor. Colonel Sirotkin V.P. has been awarded with the medal ‘Zhauyngerlik erligi ushin’ for personal courage. About twenty lecturers of the Institute have been awarded with honorary diplomas and gratitude of the Ministry of Education and Science of the Republic of Kazakhstan. The Military Institute has trained 10 sets of graduates, which is 1,751 officers. 154 graduates of the educational institution have got diplomas with distinction. 20 graduates have been awarded with the badge ‘Askery oku ornyn uzdik bitirgeni ushin’. Graduates of the Institute annually reinforce the Internal Troops and serve in other troops and military formations of the country. Many of them have been appointed to higher posts. A number of our graduates have been promoted to higher military ranks ahead of time. The first graduates are trained in the military academies and military universities of Kazakhstan and Russia. The bulk of battalion officers is made by our graduates. In 2009 the Military Institute achieved the international level of military education and training. Each year since September 2009 10 representatives of Kyrgyzstan and Tajikistan enter the Military Institute in accordance with the intergovernmental contracts. The Faculty of Officers’ Professional Development is an integral part of the Military Institute. Since 2003 the faculty has trained over 811 officers. 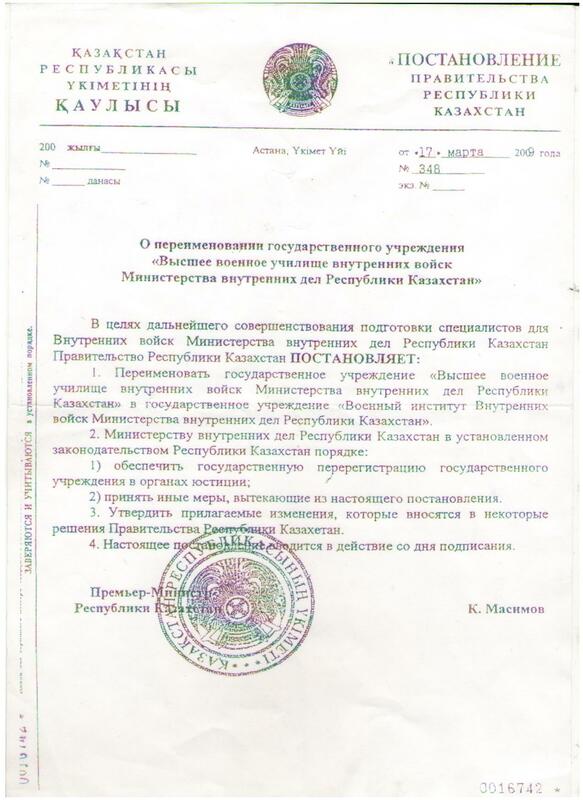 On November 11th, 2005 the Military Institute of Internal Troops of the Ministry of Internal Affairs of the Republic of Kazakhstan became a collective member of the Pedagogical Sciences Academy of Kazakhstan. 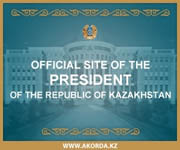 In the conditions of economic and social transformations in the Republic, reforming Armed forces, other troops and military formations, our primary goal is to develop the Military Institute and enhance the education quality, to train highly skilled and competitive officers in accordance with the Strategy of the Head of state at a new stage of development of Kazakhstan, which is presented in the Presidential Address to the People of Kazakhstan. 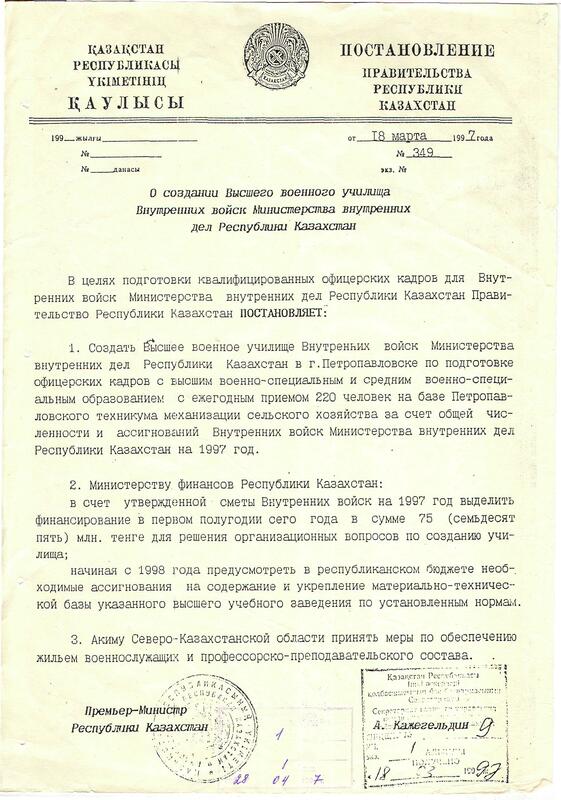 The essential contribution to training and educating cadets has been made by such experienced professors, as Colonels Doszhanov B.A, Colonel Levin А.Y., Colonel Kozhakhmetov B.T., Colonel Frantsov V.A, Lieutenant Colonel Nilov V.P, Lieutenant Colonel Kaliyev A.K., Lieutenant Colonel Serbin A.G., Lieutenant Colonel Bekbenbetov К., Lieutenant Colonel Kornilov A.A., Head of a Chair Zhabatova Zh.K. The Institute provides opportunities for a scientific and pedagogical carrier. 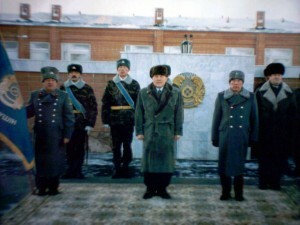 Colonel Akhmetov Zh.Kh., Colonel Safonov O.L, Lieutenant Colonel Kaliyev A.K., Kozhagulova G.K., Suleymenova S.K., Captain Zharylgapov Y.K., Colonel Kosyntayev K.B. have been conferred the Degree of Candidate of Sciences. On April 30th, 2010 Colonel Akhmetov Zh.Kh. defended the dissertation for conferring the Scientific Degree of the Doctor of Military Sciences. Colonel Batyrov M.E. and Colonel Musyrman A.S. planned to defend their theses for conferring the Degree of the Candidate of Sciences. 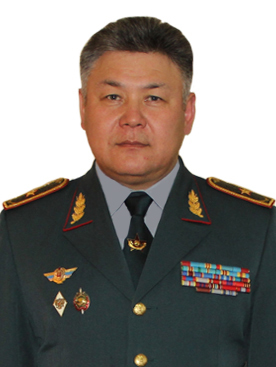 In December 2008 Colonel Akhmetov Zh.Kh. and Lieutenant Colonel Nilov V.P. 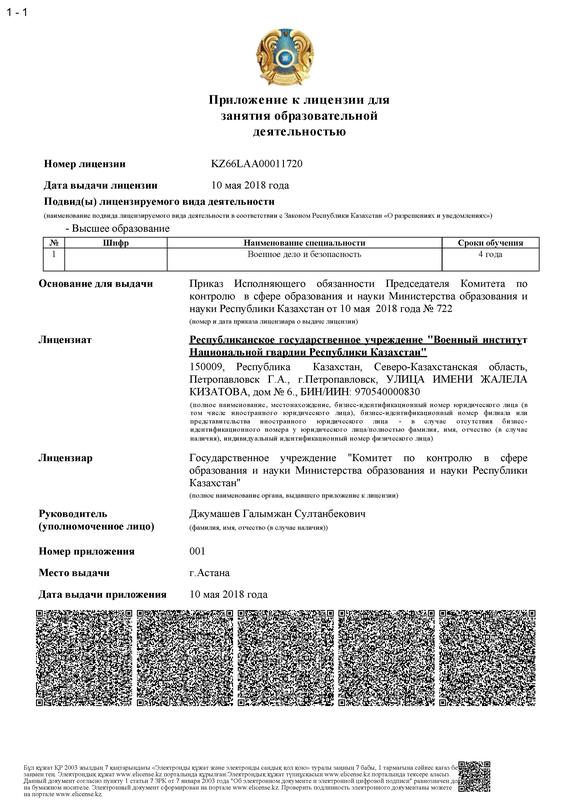 became member-correspondents of the Academy of Military Sciences of the Russian Federation; Colonel Musyrman A.S. and Lieutenant Colonel Kaliyev A.K. became Professors. Year 2001 gave birth to a tradition of organising annual scientific-theoretical and practical conferences and seminars with the participation of representatives of internal troops of the Ministry of Internal Affairs of Russia, military educational institutions of our country. Military Science Society of Cadets functions at the Institute on the regular basis. Many cadets have taken the first prizes at competitions of scientific projects organized by the Ministry of Internal Affairs of the Republic of Kazakhstan and the North Kazakhstan Oblast. In 2006 Aslan Bikenev, a graduate of 2009, won the first prize in the nomination ‘Young military man of the year’ at the Republican Youth Forum of Kazakhstan. Since September 2008 the broadcasting company ‘Kazakhstan-Petropavl’ has regularly broadcast the military-patriotic programme ‘Sarbaz’ about the life and educational activities of the Institute. 48 editions of the programme have been released so far. There are several public organisations at the Institute: an officers gathering, councils of veterans and military men under the contract, a female council, centres of the youth initiative. The staff constantly takes part in military parades and All-army meetings. The Military Orchestra of the Institute and its soloists are winners of several republican competitions, the military conductor of a military orchestra, Lieutenant Colonel Petrov has been awarded the title ‘Man of Culture of the Republic of Kazakhstan’. The ‘Club of the smart and the merry’ (KVN) team of the Institute has won numerous prizes of the international and regional games of KVN. Several study groups and sports sections function at the Institute. We are proud of our cadets and military men: Master of Sports of the International Class Amir Tnalin, a twice world champion in kickboxing in Greece and China; Master of Sports Azamat Nurpeisov, a silver prize winner of the World Championship in kickboxing in Italy (year 2009), a prize-winner of the Championship of Asia in boxing in India and the International Tournament in Baku, the champion of Kazakhstan. The Military Institute takes the first prize in sports activities in the troops and the second prize in the Sports Festival of the Internal Troops for the second year successively.Time has shown that the chosen course of training prospective officers of the Internal Troops is correct.